Tonight, the eyes of a nation will be fixed on Rod Laver Arena when Australian teenager Alex de Minaur takes on 17-time Grand Slam champion Rafael Nadal. 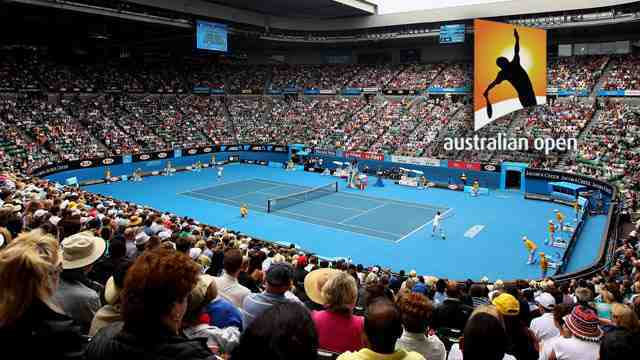 It’s hard to overstate the domestic interest in this showdown, which pits the jaw-dropping court movement of Australia’s top-ranked player against the most imposing physical presence on the ATP Tour. De Minaur, 19, ended the 2017 season ranked 208, but has since slashed that to 29. Nadal, 32, is ranked No. 2 and again looks the most likely player – at least early in the season – to challenge Novak Djokovic for the prized No. 1 ATP Ranking. Nadal leads De Minaur 1-0 in their FedEx ATP Head2Head series, having won their Wimbledon 2018 third-round encounter 6-1, 6-2, 6-4. Last week, 2018 Newcomer of the Year De Minaur won his first title in his third ATP Tour final at the Sydney International (d. Seppi). “I’m obviously playing some great tennis,” said De Minaur. “To be able to get all these wins under my belt definitely helps a lot, to build just that momentum and keep playing some good tennis day in, day out. Obviously against Rafa that’s going to be something special. In another battle of generations Friday, Roger Federer will take to Rod Laver Arena for the 100th time when he meets 21-year-old American Taylor Fritz. 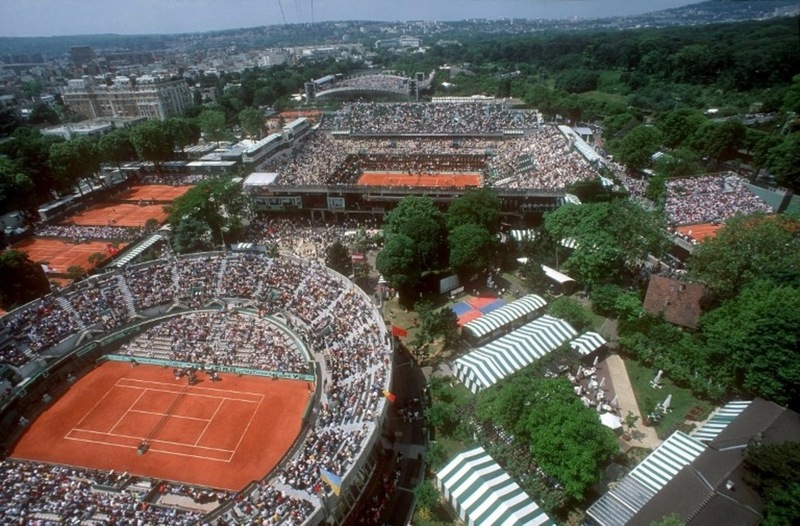 The Swiss is attempting to reach the second week of a major for the 63rd time. The two-time defending champion, who has enjoyed straight-sets wins over Denis Istomin and Daniel Evans in his first two rounds, needed three sets to beat Fritz in their only meeting to date, on grass in Stuttgart in 2016. Fritz, who is chasing his first appearance in the last 16 of a Grand Slam, toughed out a 6-3, 6-7(8), 7-6(6), 7-6(5) win over Gael Monfils in the second round. 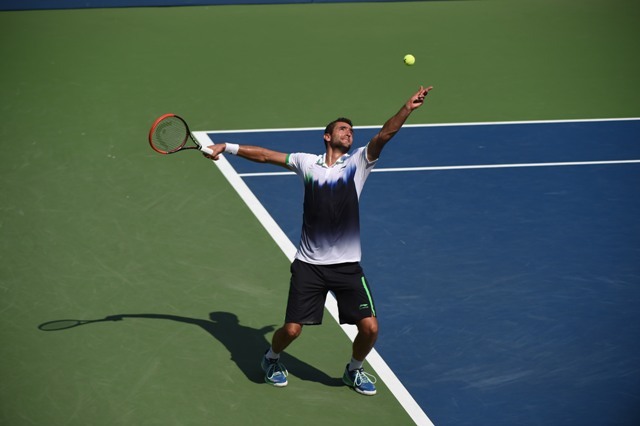 Sixth seed and 2018 finalist Marin Cilic faces 26th seed Fernando Verdasco in a match likely to feature myriad clean winners. Verdasco has played two of the most memorable matches of his career at Melbourne Park. In 2016 he stunned Nadal in five sets in the first round, avenging an epic five-set loss to Nadal in an epic 2009 semi-final. Britain’s Johanna Konta was knocked out of the Australian Open in a second-round match against Garbine Muguruza which finished at 03:12 local time. Konta, 27, lost 6-4 6-7 (3-7) 7-5 in Melbourne in one of the latest finishes in the tournament’s history. Spaniard Muguruza, 25, nicked a tight final set in front of about 250 remaining fans on Margaret Court Arena. “I don’t agree with athletes having to physically exert themselves in the early hours,” Konta told BBC Sport. “I don’t think it is healthy – in fact I think it is quite dangerous. Konta’s defeat means there are no British players left in the singles in Melbourne. She said they were not given the option to postpone the match until day five. The latest finish in Australian Open history is a 2008 third-round match between Lleyton Hewitt and Marcos Baghdatis that ended at 04:34. Two-time Grand Slam champion Muguruza took her first match point to win in two hours and 42 minutes and reach the third round. “I can’t believe there are people watching us at 3:15am,” the former world number one said. “We play for you guys watching – otherwise why are we here? The players did not walk out on to Melbourne Park’s second show court until 00:22 local time after the final match of the day was pushed back as a result of Kei Nishikori’s win over Ivo Karlovic and Alexander Zverev’s victory against Jeremy Chardy both taking almost four hours. 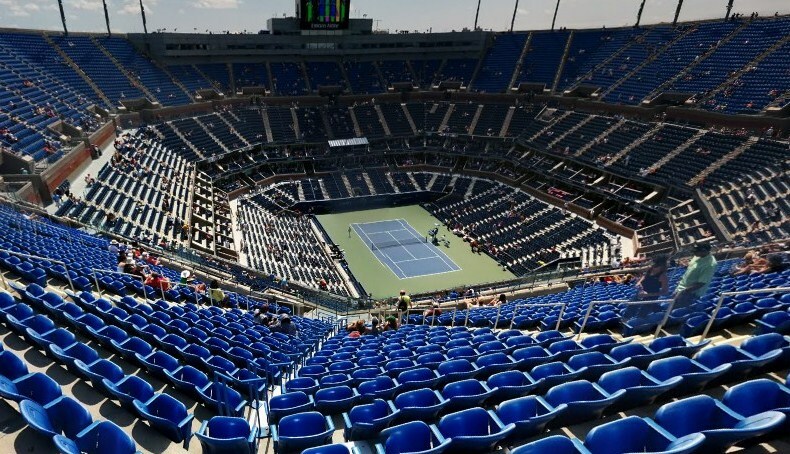 When the match between Zverev and Chardy went into a fifth set, tournament organisers were planning to switch the match to court three – but halted that plan with fourth seed Zverev rattling towards victory. 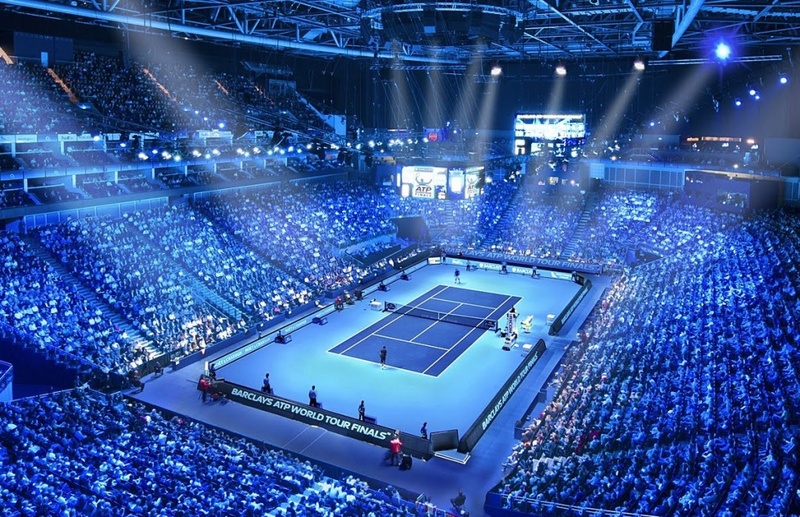 British number one Konta threw the first ball at 00:30 local time in what was an eerie atmosphere in front of a sparse crowd in the 10,000-seat arena. Despite the enforced wait, both women produced a high-quality match in which they provided reminders of their pedigrees after falling down the rankings in recent times. The match could have swung either way, with defeat harsh on whoever ended up the loser. Konta hit a forehand into the net after Muguruza upped the ante to clinch victory with only the second break of the match. 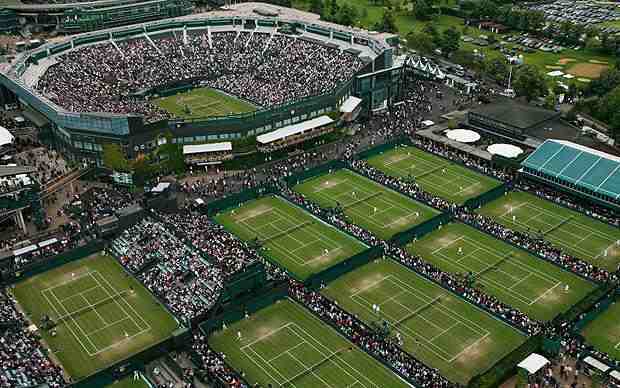 Konta was Britain’s last remaining singles hope at the first Grand Slam of the year, having seen seven of the nation’s players – including Andy Murray and men’s number one Kyle Edmund – lose in the opening three days. Konta, now ranked 38th in the world, reached the Melbourne semi-finals in 2016 but a pronounced dip in form saw her drop as low as 50th in the world last summer. Despite the nature of the defeat, she will take encouragement from one of her best performances in recent times. Konta made a slow start, losing her serve in the opening game and unable to win a point on Muguruza’s first two service games. But she grew into the contest and matched Muguruza’s power in an entertaining battle. Konta hit 13 winners in the first set as she attacked, but was unable to convert a break point for 3-4 when she missed a cross-court forehand – one of 13 unforced errors which ultimately proved the difference. Both missed break points in a tight second set – Konta in the fourth game and Muguruza in the ninth – leading to a tie-beak. Konta earned a mini-break with a wonderful deep backhand, moved to the brink with an ace down the middle for 6-3, then took the match into a decider with a forehand winner. Serve continued to dominate in the final set, with Konta winning 31% of receiving points and Muguruza’s 29%, and not a single break point on offer. A final-set tie-break looked destined to settle the match until Muguruza seized control. World number one Novak Djokovic reached the Australian Open third round with a straight-set win over Jo-Wilfried Tsonga. 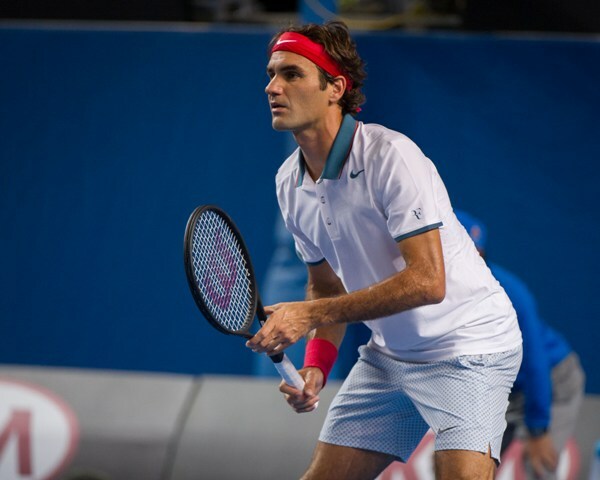 The six-time champion in Melbourne beat the 33-year-old Frenchman 6-3 7-5 6-4. Tsonga, whose ranking has fallen to 177 after a knee injury restricted him to 12 matches in 2018, showed flashes of his ability but the Serb, 31, was always in control. Djokovic faces 19-year-old Canadian Denis Shapovalov, the 25th seed, next. The match against Tsonga was a repeat of the 2008 final in Melbourne, which the Serb won in four sets to secure his first Grand Slam title. “You could feel the tension on court at the beginning. We felt a lot of emotion and tried to play a great game,” said Djokovic. World No. 1 Novak Djokovic completed a clinical performance at 12:41 a.m. local time on Friday morning in a repeat of the 2008 final at the Australian Open. The six-time former champion didn’t always fire on all cylinders against Jo-Wilfried Tsonga, but took his chances and kept the French wild card under pressure in a 6-3, 7-5, 6-4 victory over two hours and four minutes. Djokovic, who hit 33 winners including 12 aces, will next come face-to-face with 19-year-old #NextGenATP Canadian Denis Shapovalov on Saturday in the third round, which the Serbian has reached for the 12th time. Djokovic made the first move to break for a 3-1 lead, but the fluent stroke-making of Tsonga returned. The Frenchman, who missed seven months of last year due to left knee surgery, evoked memories of his peak-performance days in a competitive second set, which was decided in the 11th game. Djokovic converted his fourth break point chance when Tsonga made a backhand error. Three straight forehand errors from Tsonga handed Djokovic a 3-2 lead in the third set, which proved to be enough for his 17th win in 23 FedEx ATP Head2Head meetings (11-6 on hard courts). Djokovic won the first of his 14 Grand Slam championship trophies with victory over Tsonga in the 2008 final at Melbourne Park. Twelve months ago, Djokovic lost to Hyeon Chung in the Australian Open fourth round, but returned to peak form in June en route to finishing 2018 at year-end No. 1 in the ATP Rankings. “One of the biggest lessons that I had to learn is patience, trusting life, trusting the process that things will come, that things will get to a point where I want to be, or where I would like to achieve, or how I want to play. I just needed to trust the process, be patient. Eighth seed Kei Nishikori survived a fightback from Ivo Karlovic to win a final-set tie-break and reach the third round of the Australian Open. The Japanese player took a two-set lead, before 39-year-old Karlovic, who served 59 aces, recovered to force a decider on Margaret Court Arena. Nishikori held his nerve to edge out the Croat 6-3 7-6 (8-6) 5-7 5-7 7-6 (10-7) in three hours and 48 minutes. Meanwhile, Milos Raonic beat 2014 champion Stan Wawrinka in four sets. Raonic will face Pierre-Hugues Herbert in round three after the Frenchman beat 24th seed Chung Hyeon 6-2 1-6 6-2 6-4. The South Korean, who reached the semi-finals at Melbourne Park last year, is likely to drop out of the world’s top 50 after the tournament. Seventh seed Dominic Thiem retired injured from his match against wildcard Alexei Popyrin when trailing 7-5 6-4 2-0. The Austrian, who had shown signs of frustration that boiled over into smashing his racquet, had come through a draining five-setter in his opening match against Benoit Paire and never looked comfortable against 19-year-old Australian Popyrin. “I felt very bad during the game, obviously,” Thiem said. Nishikori saved three break points at 4-4 in the final set and was then 6-7 down in the decisive tie-break, as Karlovic stood on the brink of becoming the oldest man to reach the third round since 44-year-old Australian Ken Rosewall in 1978. He faces Joao Sousa after the Portuguese beat Philipp Kohlschreiber 7-5 4-6 7-6 (7-4) 5-7 6-4. Canada’s Raonic was forced to come from a set down to see off Swiss three-time Grand Slam champion Wawrinka, who was unseeded for the first time since his debut in 2006 after injuries saw him drop to 59th in the world. Raonic, the 16th seed, won 6-7 (4-7) 7-6 (8-6) 7-6 (13-11) 7-6 (7-5) in four hours one minute. “It feels like four hours passed by in about 15 minutes,” he said. “It was the heat of the battle – the adrenaline takes over and I was fortunate to stay alive in that fourth set. Frenchman Gilles Simon, the 29th seed, was beaten in five sets by Australian wildcard Alex Bolt, who is ranked 159th in the world. In a match lasting more than four hours, Bolt won 2-6 6-4 4-6 7-6 (10-8) 6-4 to set up a third-round encounter with fourth seed Alexander Zverev or Frenchman Jeremy Chardy. Former Australian Open champions Jamie Murray and Bruno Soares reached the second round in Melbourne after seeing off Roman Jebavy and Andres Molteni. Britain’s Murray and Brazilian Soares, winners in 2016, clinched a mammoth tie-break in the second set to beat the Czech-Argentine pair 6-4 7-6 (13-11). The third seeds face all-British duo Luke Bambridge and Jonny O’Mara next. Cameron Norrie and American Taylor Fritz, whom the Briton lost to in the singles first round, also advanced. They beat Bosnia & Herzegovina’s Mirza Basic and Damir Dzumhur 7-6 (9-7) 7-5 to set up a meeting with Jack Sock and Jackson Withrow. Americans Sock and Withrow stunned second seeds and 2018 runners-up Juan Sebastian Cabal and Robert Farah of Colombia 6-7 (6-8) 6-3 6-4. Britain’s Ken and Neal Skupski also progressed, beating Australians James Duckworth and Jordan Thompson 6-3 6-4. They will take on Finland’s Henri Kontinen and Australian John Peers in the second round. Meanwhile, Britain’s Joe Salisbury also made it through alongside American Rajeev Ram, winning 6-0 6-4 against Argentine Guido Pella and Chile’s Hans Podlipnik-Castillo.